Would you like to know more about accessing a quality education for your child that will also teach them how to impact the world for Jesus Christ? At HCA, we partner with parents to provide their child(ren) with a Christ-centered education that will help students discover who God is and what He has planned for each of them. We would love to give you a tour of our campus and talk with you more about our mission. 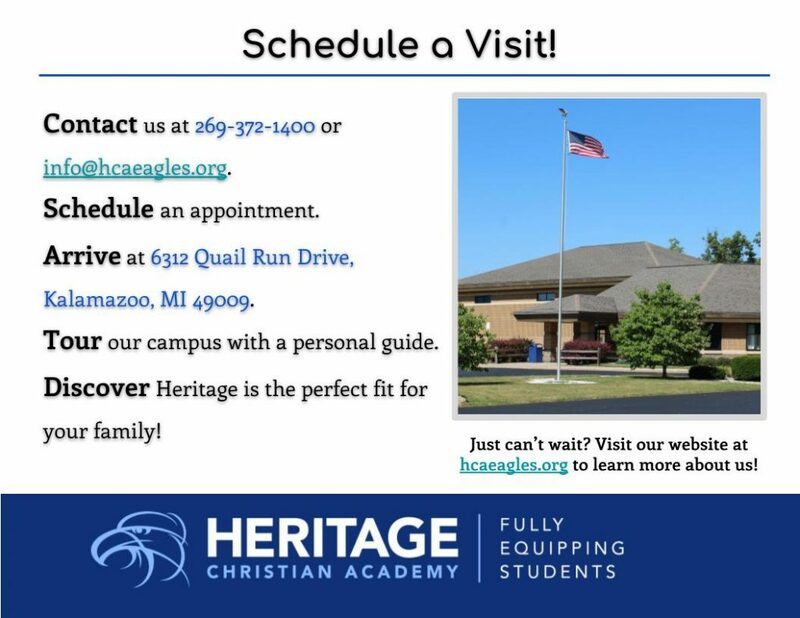 Call 269-372-1400 to set up an appointment or email us at: info@hcaeagles.org.